Torus is a Canadian Company specialising in Power Conditioners and Regulators. Their parent Company, Plitron build transformers for the leading amplifier manufacturers of this Industry. So, it was inevitable that when I received my AVR 2 16, I had to look at the transformer. So, prior to hooking up the system, I removed the top plate to gaze at the biggest, most serious looking toroidial transformer I have ever seen. Forget about your normal large transformer, this looks like a small mag wheel of a sports car. The Australian version AVR 2 16 comes with 9 outlets, 8 plus a router rebootable outlet that can be configured as a standard outlet. All outlets allow the same amount of current draw with a total of a whopping 16 amps continuous, sufficient to accommodate just about any high current amp/amps. In my main system I have a pair of Parasound JCI’s, a pair of PS Audio BHK 300’s and a pair of Chord SPM1400 MKII’s. This allows me to demonstrate any of these amplifiers without moving them in and out of the equipment rack. I needed a conditioner/regulator to accommodate the high current draw of these amplifiers, especially the JCI’s without restricting dynamics. All Australian version Torus’ are set at 230 volts and could fluctuate to about 235 volts depending on the input current. This provides the ideal amount current to an amplifier as most amplifiers are 230 volt. In Western Australia we are blessed with probably the dirtiest power in Australia. In addition certain suburbs can run as high as 260 volts – not good for electronics, as they shorten their life. The Torus can be set up so that it can be monitored continuously for peak current draw, input current and a few other niceties. However, all of this is inconsequential if it does not improve the overall sound of a system. And that it does in spades. Torus conditioners/regulators pride themselves on total isolation. Thus, the sound emanating through the Torus appears to come from a totally dark background. This in turn enhances the transparency, three dimensionality, leading edge of instruments, bass control, sound stage depth and width, without hindering dynamics. I do have a large room, 10 metres x 6 metres, and I do listen at realistic levels and I believe that transparency, tonal balance and dynamics are important to the overall enjoyment of the music. There are many models to choose from depending on the amount of current draw required and/or regulation. I am a firm believer in conditioning/regulating and have used many over the past 15 years. 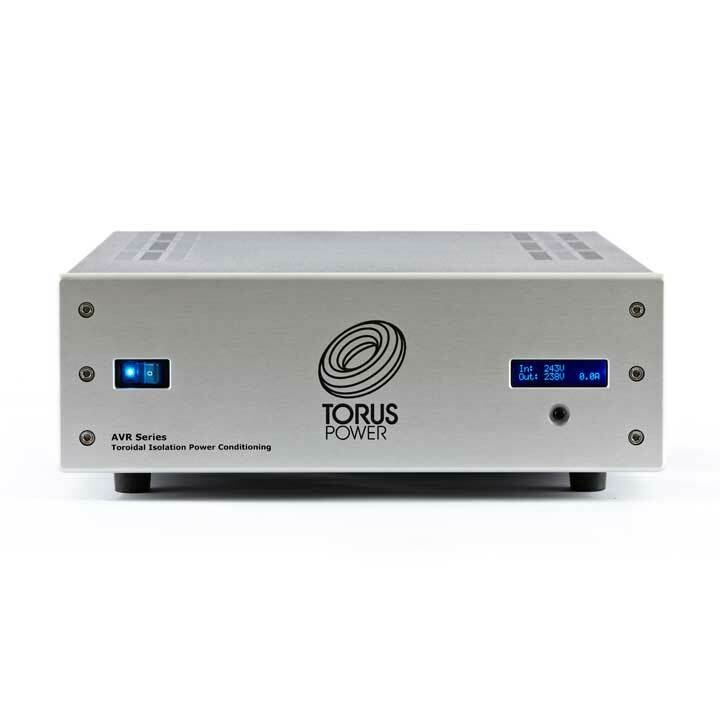 This Torus AVR 2 16 would rate as the best I have auditioned in my system. Feel free to give me a call to discuss any of the models.